If you look at evolution in smartphones in past few years, software and hardware elements such as cameras and form factor have significantly improved. Battery life, however, has continued to remain one of the main challenges for smartphone companies. With growing usage of applications ranging from games to social media, instant messengers to e-mailing, smartphones with full day battery life or perhaps more are in rarity. One of the solutions smartphone companies have found is bumping up the battery size coupled with software optimization such as power saver modes and extreme power saver modes. Consumers are nowadays looking for all aspects balanced in a smartphone. Therefore devices with just big battery size and life may not necessarily be the main draw unless it is complemented with other elements such as good camera, design and overall performance. Of late we have seen brands such as Lenovo and Gionee attempting to deliver this balance with their latest Vibe P1 and Marathon M5 smartphones respectively. While the Vibe P1 boasts a 4,900mAh battery, the Marathon M5 has a whopping 6,020mAh battery. The two smartphones are priced at Rs 15,999 and Rs 17,999 respectively. Apart from boasting a large battery life, these phones are also feature-rich and compete with a wide range of budget and low-end mid-range Android smartphones. I have spent considerable time with Gionee’s Marathon M5, and tried to gauge if it is just an ordinary smartphone with big battery or does it manage to deliver that balance mentioned above? Read on. Stating the obvious, battery is the biggest USP of the Marathon M5. Like the predecessors in the Marathon series, the M5 comes with a large battery, though this one is the largest so far at 6,020mAh. The smartphone does attempt to hit the right notes with a competitive set of specifications such as 5.5-inch HD AMOLED display, 1.3 GHz quad-core processor and 3GB of RAM. For photography, it has 13-megapixel rear and 5-megapixel front facing cameras. Other important features include Android 5.1, 32GB ROM that can be expanded up to 128GB, IR Blaster, OTG support, dual-SIM and 4G LTE support. While the specifications of the Marathon M5 look competitive, what impressed us is the form factor of the device. Despite having a 6,020mAh battery, the smartphone has 8.55mm thickness. Evidently, it’s not the slimmest one out there, but it’s quite impressive for a smartphone that houses such big battery. As expected, it’s bulky at 211 grams, but certainly not an uncomfortable weight. After having used lighter phones such as the HTC One A9 and Apple iPhone 6, it does take little time to get used to the weight though. The build includes a combination of plastic rear and metallic rims. I used the golden variant of the phone, which looks quite stylish. Front is dominated by the display, speakers and front facing camera on the top, and touch buttons for navigation on the bottom. Expandable storage slot is followed by volume and power buttons is placed in the right edge, while the left edge has the dual-SIM (Micro + Micro) slots. Top has the IR Blaster and standard 3.5 audio jack, while the base has the micro USB slot. On the rear, camera along with lens is on top followed by Gionee logo at the center and speaker grilles at the bottom – similar to the one on Gionee Elife E8. The Marathon M5 is quite compact, easy to use and certainly feels sturdy. Gionee has been using AMOLED displays on its smartphones for quite some time. Similar to the one seen on the Elife E8, the 5.5-inch HD AMOLED display on the Marathon M5 too is bright and colorful. Web pages, high resolution videos and graphic intensive games appeared fluid. Outdoor and indoor legibility are quite satisfactory. The AMOLED display is complimented by Gionee’s Amigo 3.1 based on Android Lollipop v5.1. As expected, the Amigo is quite colorful and playful. It comes with a slew of preloaded features such as custom screenshots, gesture controls such as tap to wake up, animated themes, live wallpapers, DU battery saver among others. The smartphone also comes with preloaded with apps such as Twitter, Whatsapp and Facebook. One of the interesting features of the Marathon M5 is the built-in IR that turns the smartphone as a smart remote for TV, AC and other compatible devices. This feature is under the Peel Smart Remote app, clubbed in a group of ‘Other Apps’. I tried out this feature with my LG TV with Tata Sky connection. It is quite easy to use, though there are multiple steps before the installation. Ensure you are tapping the correct options while setting it up. Now let’s talk about the camera performance. The Marathon M5 has a 13-megapixel rear camera, which thrives in the good light conditions. If the lighting is conducive, you will get quite decent results. Images are well balanced and detailed, while saturation level is near satisfactory. HDR Mode allows you to add more crispness and accuracy in the images. The M5 takes good macro shots as well. The Pro Mode gives you more control in terms of ISO level, focus, shutter speed and white balance. However, in the low light, the camera struggles a lot. Noise and imbalanced colors are quite evident. The Night Mode allows you to take relatively better images. However, shifting to HDR or any other than the Normal, image processing gets slower. The 5-megapixel front facing camera is quite good. The Beauty Mode will help you take much smoother and bright selfies. However, in low-light it isn’t really extraordinary. But the front facing camera is on par with the ones on other budget and mid-range Android smartphones. The Marathon M5 captures full HD videos, which is quite fine in good light conditions. When it comes to sound quality, the Marathon M5 does quite a decent job. The speaker is quite loud and clear. Sound, however, is much better with the bundled in-ear speakers. Call quality in both indoor and outdoor were satisfactory, call sounded clear with no distortion at all. Audio on speaker phone was pretty clear and loud enough, though you have to keep the phone closer to ensure audio is quite clear on the other side. As said earlier, the Marathon M5 boasts of a competitive set of specifications for a budget or low-end mid-range smartphone. To ensure smooth performance, Marathon M5 is powered by a MediaTek MT6735 quad-core processor along with 3GB of RAM. Out of 32GB onboard storage, user available memory is roughly 25GB. It’s worth pointing out that there are a very few smartphones under Rs 20,000 to come with 32GB onboard storage, while the most have 16GB expandable storage. Also, you can expand storage up to 128GB via SD card. Another interesting feature of the smartphone is the OTG support, which allows you to charge other smartphones. Well, if you have a 6,000 mAh battery phone, you may not need an additional power bank, and perhaps you can help out your friends too when required. Other important features include dual-SIM support (Micro + Micro), Wifi-802.11 B/G/N, Wi-Fi Hotspot and Bluetooth 4.0. That said, the Marathon M5 isn’t very fluid when it comes performance. I did encounter crashing of apps on multiple occasions. At times, I had to press home button twice to go to the homescreen. Though it didn’t occur repeatedly. Opening and shuffling between multiple apps is quite smooth. Though I will suggest refrain from having a lot of apps running in the background. The M5 didn’t lag or stutter when playing graphic intensive games such as Real Racing and WWE Immortals. Prolonged gaming sessions do cause heating up, but never to an uncomfortable level. So how good is the 6,020mAh battery on this phone, you may ask. Well, the battery life is indeed quite superb. It took almost one and half day of moderate to high usage to get the battery from 100 percent to 25 percent. During this period, I streamed videos and music for about couple of hours along with excessive usage of instant messengers such as WhatsApp and Slack. This also includes roughly 4-5 hours of Internet usage, and continuous background running e-mails and Slack. For power management, the M5 comes with usual power saving modes – Normal mode, which reduces the performance and adds a Dark theme which you can change, and then Extreme mode, which keeps the basic functionalities – phone, contacts, messaging and clock – running. The Normal mode is quite impressive. I started the day with 32 percent battery life, and almost after 7-8 hours, battery level dipped to 18 percent. During this period, I frequently accessed Facebook, WhatsApp, Gmail, and even made and received calls. The Marathon M5 is a good option for those who are looking for a smartphone that gives great battery along with hygiene features like a decent camera, good design and good display. It comes with 32GB of internal storage, which is a rarity at this price point. Having said that, the Lenovo Vibe P1, which is priced lower at Rs 15,999 also offers a big 4,900mAh battery that is good enough to last for more than a day. Additionally, it has a better UI and comes with a fingerprint scanner as well. It too can charge other phones via an OTG cable. Earlier this month, Gionee revealed that it would be launching the Marathon M5 Plus on December 21. Right on cue, the company today launched the smartphone at an event in China. 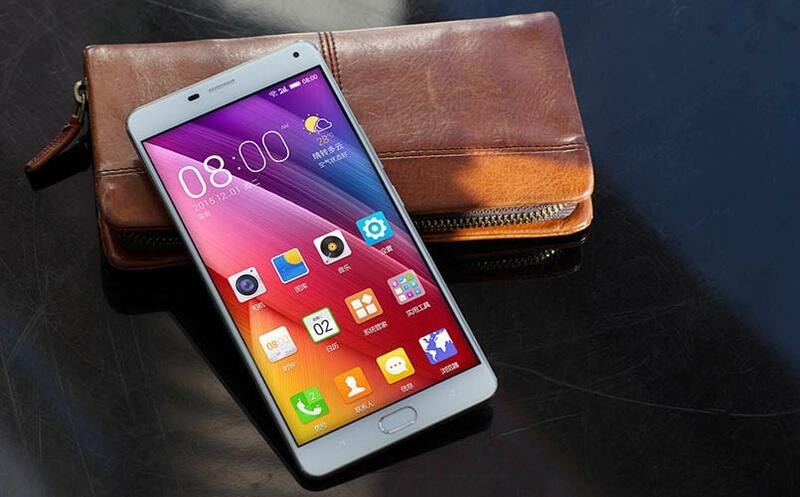 The Marathon M5 Plus is going on sale in China on December 25, priced at 2,499 Yuan (Rs 25,500 approximately). The Marathon M5 Plus’ talking point is again the big 5,020mAh battery, which Gionee says is good enough to last two days. Furthermore, the battery also supports fast charging, and can be fully charged in under two hours. Another talking point is the fingerprint scanner integrated into the physical home button up front. This is the second smartphone in Gionee’s lineup, after the Elife E8, to offer a fingerprint scanner. Gionee Marathon M5 Plus specifications and features: The smartphone flaunts a 6-inch full HD (1920×1080 pixels) AMOLED display with 2.5D glass, and is powered by a 1.3GHz MediaTek MT6582 octa-core processor paired with 3GB of RAM. Also on offer is 64GB internal storage, which can be expanded up to 128GB using a microSD card. The smartphone also features a 13-megapixel rear camera, 5-megapixel selfie camera, and connectivity options like dual-SIM card slots, 4G LTE and VoLTE support, Wi-Fi, Bluetooth and USB Type-C port. On the software front, it runs on Android 5.1 Lollipop wrapped under Amigo 3.1 UI. The Gionee Marathon M5, in comparison, was launched in India for Rs 17,999. It features a 5.5-inch 720p AMOLED display, 1.3GHz MediaTek MT6735 octa-core processor, 3GB of RAM, 32GB internal storage, and a microSD card slot to expand it. The smartphone is powered by a relatively large 6,020mAh battery as compared to the M5 Plus. The smartphone also features a 13-megapixel rear camera, 5-megapixel selfie camera, and connectivity options like dual-SIM card slots, 4G LTE support, Wi-Fi and Bluetooth. On the software front, it runs on Android 5.1 Lollipop based on Amigo 3.1 UI. The Marathon M5 competes with the Lenovo Vibe P1, which has 4,900mAh battery and also features fingerprint scanner. The Vibe P1 is available online for Rs 15,999.